A scientific research team led by NASA is tracking global trends in freshwater availability worldwide in a bid to better understand how these critical natural resources are changing in light of a variety of factors. Those include human-invoked climate change and water management practices, as well as natural climate cycles. The availability of freshwater is changing worldwide, with profound implications for ecosystems, economies, and societies, the scientists point out. 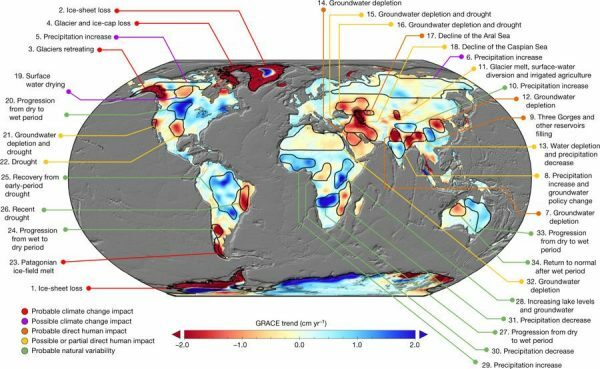 The researchers quantified 34 trends in Terrestrial Water Storage based on data spanning 2002-2016 gathered by the US space agency’s Gravity Recovery and Climate Experiment (GRACE) satellite mission. 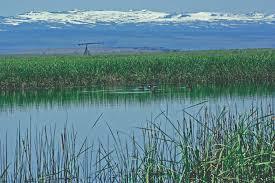 They attributed changes in the obs erved availability of freshwater either to natural inter-annual variability, unsustainable groundwater consumption, climate change, or some combination thereof. The results appear in a research paper, “Emerging Trends in global freshwater availability,” published May 16 in Nature. Some of the trends they identified had not been known, including “massive changes in northwestern China and the Okavango Delta.” Others fall in line with predictions of climate science models. 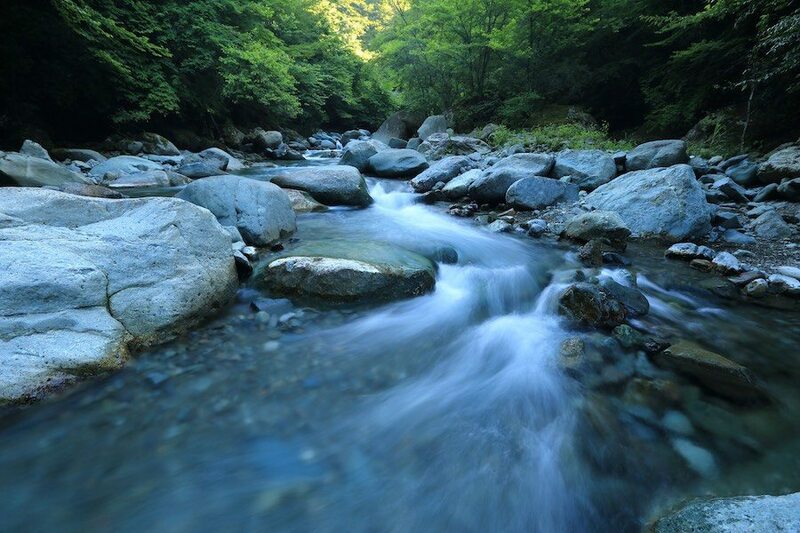 Nearly 70 percent of the Earth’s surface is covered by water. Just 2.5 percent of it is freshwater. Furthermore, only 1 percent of those freshwater resources are easily accessible – 1.75-2 percent is frozen, taking the form of glaciers, ice or snow. The availability of freshwater varies constantly worldwide in what scientists call the terrestrial water cycle. In the absence of “hydroclimatic shifts or substantial anthropogenic stresses,” that ranges within observed bounds, the study authors explain. Recent hydrological research has revealed that Terrestrial Water Storage appears to be trending below previous ranges, notably where ice sheets or glaciers are diminishing in response to climate change and where groundwater is being withdrawn at an unsustainable rate,” the researchers note. “Accurate accounting of changes in freshwater availability is essential for predicting regional food supplies, human and ecosystem health, energy generation and social unrest,” they elaborate. That’s a very difficult task, however. More particularly, groundwater is very difficult to monitor given the sheer size and nature of underground aquifers. Yet groundwater meets about half the global population’s domestic freshwater needs. In addition, groundwater accounts for 38 percent of agricultural irrigation water consumption, thereby boosting food supply. Moreover, nearly 5 billion people live in areas where threats to water security are likely. The associated pressure on ecosystems and those living in these areas is rising due to climate change, population growth and human activities, they highlight. The researchers took advantage of the unprecedented satellite remote sensing capabilities of NASA’s GRACE to analyze fourteen years worth of observations worldwide – a first-of-its-kind accomplishment. The largest Terrestrial Water Storage trends occur in the Antarctica region, Greenland, the Gulf of Alaska coast and the Canadian archipelago. The scientists found that rapid climate warming continues to diminish ice sheets and glaciers at a rapid rate, reducing Terrestrial Water Storage. In contrast, they found it increasing in sub-regions of Antarctica and Greenland as a result of increasing accumulation of snow and natural processes that result in thickening of accumulated layers of snowfall. Most notably, the researchers found that freshwater appears to be accumulating in North America’s far north, in Eurasia and in the “wet tropics,” according to the report. 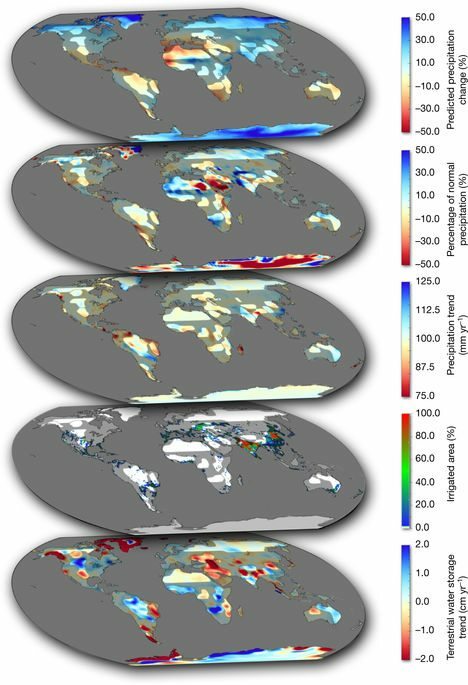 Liquid freshwater is being lost at the greatest rate in mid-latitude regions. By and large, these findings are consistent with predictions produced by climate models used by UN International Panel on Climate Change (IPCC), which produces the studies and forecasts of global climate change used in the negotiation of UN Framework Convention on Climate Change (UNFCCC) agreements, such as the Paris Climate Agreement. The research team also found “a clear ‘human fingerprint’ on the global water cycle.” Freshwater is diminishing rapidly in many of the world’s irrigated agricultural regions, they highlight.